Just launched today is the Limited Edition Dewy Lily of the Valley & Star Anise hand cream and hand wash. The super delicious scent of Lily of the Valley takes me back to being a little girl in my grandmother’s garden and special memories of her. It’s amazing how a scent or fragrance evokes such strong memories of a happy childhood. The lily of the valley blended with magnolia is light, fresh and so spring-like. I understand that the hand lotion has a new formulation and the moisturiser is now nourishing for the cuticles and nails, as well as sinking in very quickly to the skin providing well needed moisturising benefits. It certainly feels light and luxurious on the skin. 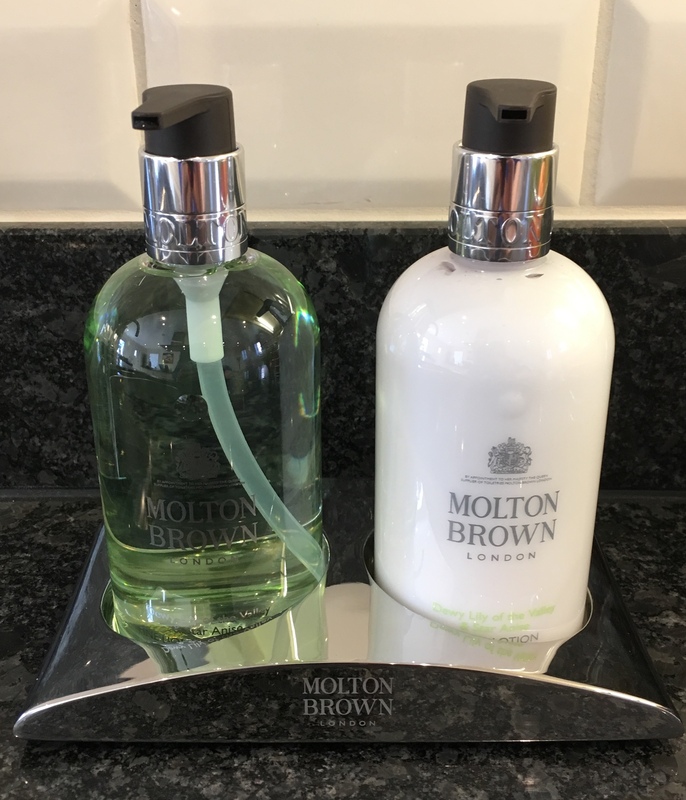 And Molton Brown has just re-introduced their “Elemental Arc” – a stainless steel hand wash holder that is perfect to showcase these beautiful products either in the office, or at home. It is simple, modern and elegant and will suit all different types of interiors and settings. We’re glad they’ve returned such a lovely product back to our basins to make them even more beautiful!